Made by the artist between April and June 2017, while the authoress had been writing the final version of her book. A meeting between professionals, Remigia Spagnolo and Antonio Cavallo, which becomes a metaphor of the meeting between psychology and art; between two different dreamers, each one with his or her own trade and tools to achieve something worth. Richly decorated on a sober “Franciscan” basis, the door represents Man’s personal and spiritual elevation process generated by “Mother Earth” (the bottom of the door) and lit by “Brother Sun” and the sky (the inside of the blue frame in the upper part of the door). The pictorial structure left some parts untouched to reveal the rough wood and the different layers of colour used over time as a metaphor/representation of Man’s life experience and never ending search for identity in the course of his life transformation and intimate essence. 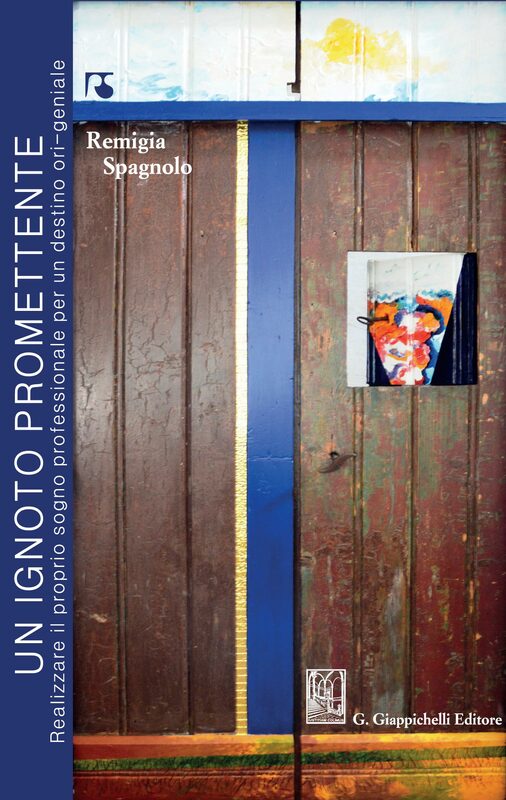 The front of the door – and the book cover – introduces to “the promising unknown” prompted by a desire of change and by willingness. There are three opening degrees towards the dream: the window, a single leaf, both leaves. Three entrances into a promising unknown from which happiness can find its way through: the intuition-idea, the project, the dream-vision. 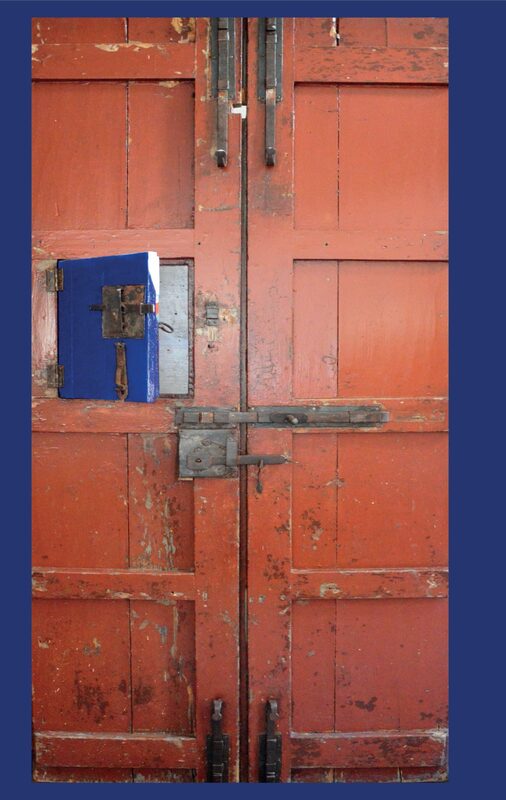 The back of the door – the back cover – comes with lock parts, such as hand-made knobs, hooks and lockers. A metaphor of self-created safety psychological systems which prevent us from searching and which we oppose to our dream, thus stopping colouring our life. Only the blue coloured window represents the possibility of a first opening up to the stimuli and suggestions of our most elevated self. The coloured window: although sober, the front of the door is rich and lively in its illuminating and illuminated details. It has a coloured window that can be opened with a key and conveys joy, relief, hope but above all mystery to the spectator. The window contains a lively chromatic dance: a shaking of emotions, intentions, reasoning, hopes, visions linked to our professional and life dream.